The Tory Brexit secretary has bluntly said Britain’s Brexit withdrawal agreement will “probably favour” the European Union (EU). Speaking in the House of Lords European Union Select Committee, David Davis said: “In the infamous, or famous, words of the European Union, nothing is agreed until everything is agreed. He insisted he was not about to make a “big offer” on the so-called Brexit ‘divorce bill’, but concessions made to the EU negotiators, who say they will not move “one iota” from their mandate, are already many. Prime Minister Theresa May has said there will be a Brexit “transition period” of around two years and implied the UK will pay the bloc tens of billions, despite having no legal obligation to do so. Mrs. May has also hinted that EU courts could retain power in Britain after Brexit, something described as a form of “colonialism” by experts and leading Tory MP Jacob Rees-Mogg. Meanwhile, senior Conservatives have tabled some of the near 400 amendments to the government’s EU Withdrawal Bill, including one giving parliament the right to approve the terms of Britain’s withdrawal. 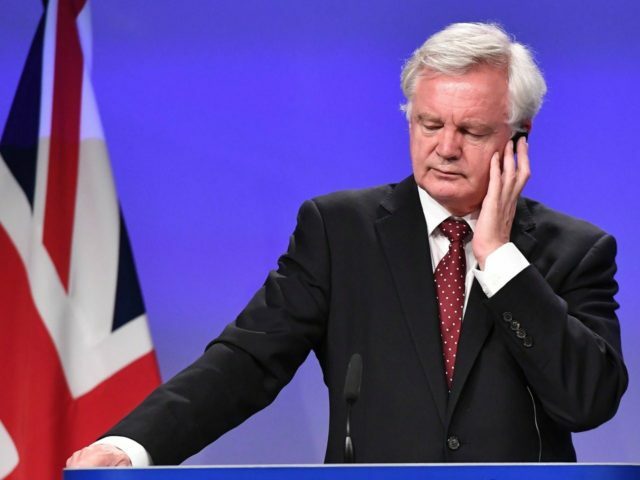 Whilst many are calling for the UK to walk away without a deal, Mr. Davis said he was confident of a “basic deal” on Brexit, suggesting agreement would be made on issues such as security cooperation at the very least.